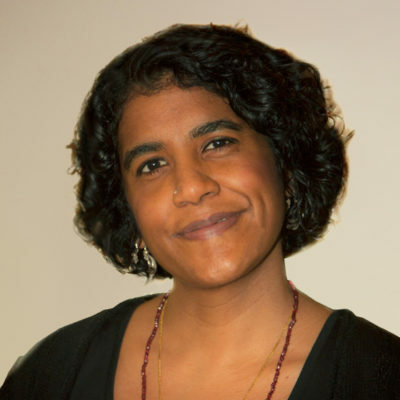 Ereshnee Naidu-Silverman is the Senior Director for the Global Transitional Justice Initiative, the Coalition’s flagship program on transitional justice. Ereshnee holds over twenty years’ experience designing and implementing community outreach strategies and programs in critical post-conflict settings that include South Africa, Liberia, Sierra Leone, Sri Lanka and Colombia, among many others. She is a seasoned educator with extensive curriculum and workshop design experience, and has broad content development, training and facilitation skills. A thought leader and global transitional justice practitioner, Ereshnee pioneered the Coalition’s work in transitional justice in 2014, and now leads the Global Initiative for Justice, Truth and Reconciliation which under her stewardship manages 58 projects in 17 countries engaging 256 local civil society organizations in Colombia, Guinea, Sri Lanka, and the Middle East and North Africa region, among other locales. Ereshnee earned her Bachelor of Arts and two Masters of Arts degrees from the University of Witwatersrand in South Africa, the first in Dramatic Arts (1998) and the second in Forced Migration Studies (2004). She subsequently earned her PhD in Sociology from the Graduate Center of the City University of New York.